Do you make it a point to bake during the holiday season, or are you just too busy? 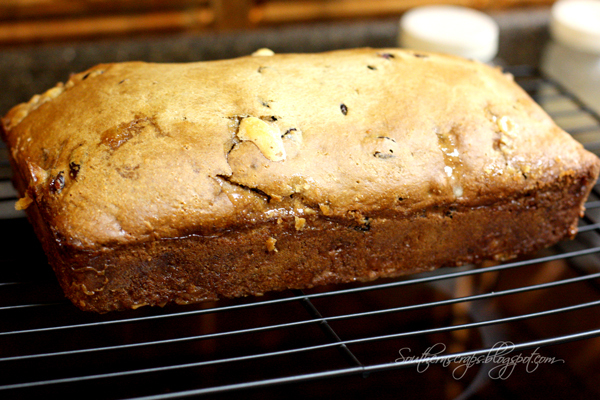 If your answer is too busy, I promise you're not too busy to try this quick bread. I've made it twice now in the past three weeks. I adapted this recipe from Grain Mill Wagon. I wanted to make a whole wheat cranberry quick bread but I just didn't like any of the recipes I found. They required too many ingredients or the orange juice turned me off. Preheat oven to 350. In a large bowl combine flours, sugar, cinnamon, nutmeg, baking soda and salt. In a smaller bowl, combine buttermilk, oil and eggs; stir with whisk until blended. Pour into dry ingredients and mix gently. Add craisins and white chocolate chips, mixing gently. Spoon batter into greased 8x4 inch loaf pan. Bake 40 minutes or until wooden pick inserted in center comes out clean. Cool 10 minutes in pan on wire rack, remove from pan. Cool completely on a wire rack. Quick breads offer an easy solution to holiday baking, and this one is worth the little effort it requires. You could even whip these up for gifts! If you love white chocolate chips, check out my White Chocolate Chip Pumpkin Muffins. 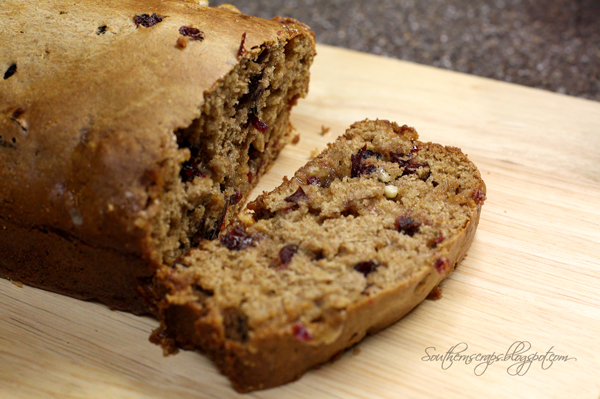 This looks like such a great recipe - I pinned it especially since I love cranberries and this is a healthier version of bread. YUMMMY!